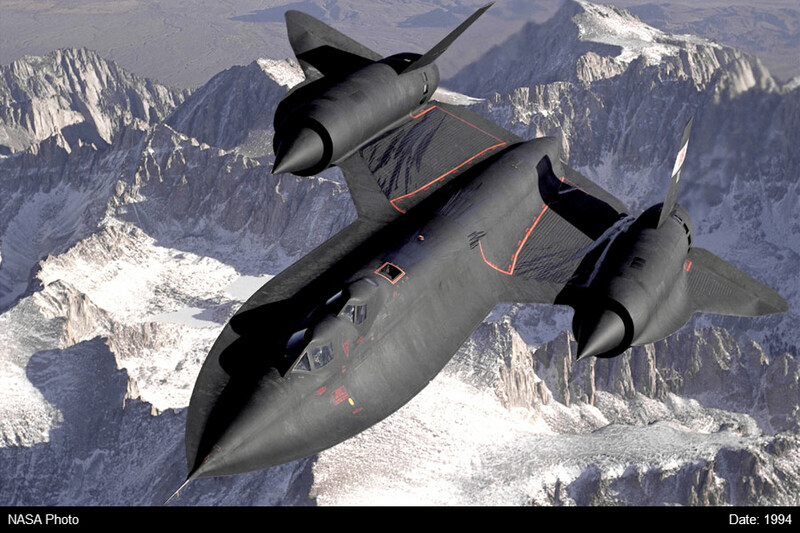 This is the Lockheed SR-71B “Blackbird.” It was created in the early 1960’s to replaced the U-2 spy plane (Creating the Blackbird). It was created with intent to be the fastest and stealthiest spy plane there ever was. 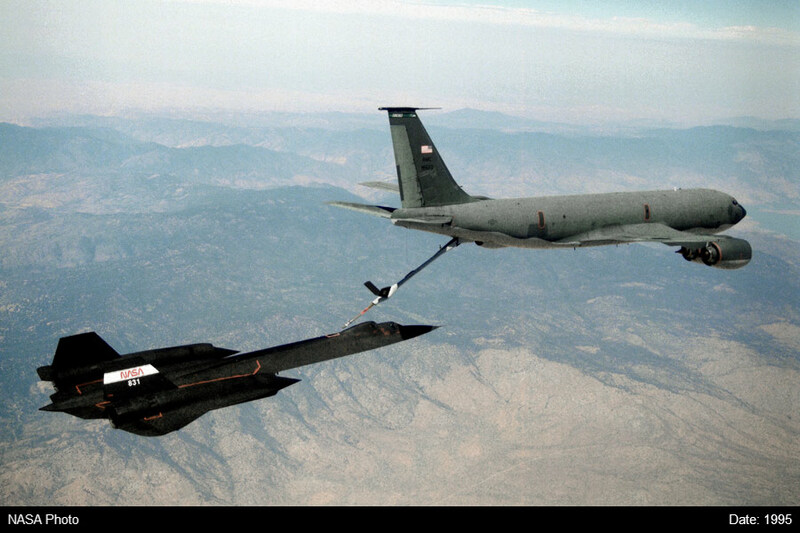 This particular aircraft is SR-71B #61-7956/NASA 831 (Kucher). It is unique in that this is one of two training SR-71s ever made. The other crashed while landing. This aircraft has the most flight hours of any of the Blackbirds with 3,967.5 hours of flying. Since it was a training aircraft, it was used more than the others to train its pilots. The Blackbirds were retired in 1990, but this aircraft went on to NASA for research until 1997, and was actually reactivated in 1995 at Edwards Air Force Base. The SR-71B came to the Kalamazoo Aviation History Museum on March 28th, 2003 and went on display on April 23rd of the same year. The museum actually made the deal with the USAF Museum on December 17th 2002, and received the aircraft in just 3 months. Soon after this, the museum open a new campus in 2004, that is a 120,000 square feet in it’s main campus, and it was moved into the new building (History). This SR-71B was loaned to the NASA by the air force in the 1990’s. It’s purpose there was to help research at very high speed. The scientist at NASA researched aerodynamics, propulsion, structures, thermal protection materials, high-speed and high-temperature instrumentation, atmospheric studies, and sonic boom characterization of the aircraft during the Mach 3.2 flight speeds (Dunbar). One of the first experiments NASA used the aircraft for was a laser air-data sensor. This laser was used to measure airspeed using light instead of air pressure, like how other aircraft find it’s airspeed. On the bottom of the aircraft, the laser would shoot out six planes underneath, and measure the air particles as they passed through. This was also done at 80,000 feet, so the particles were microscopic, and were used to calculated airspeed and attitude measurements. In March of 1993, a special video camera was placed in the nose of aircraft to measure celestial objects. They had to use a special camera that captured wavelengths to view these objects, because astronomers on the ground had their views blocked. A similar experiment was conducted to view the charged chlorine ions in the atmosphere in research to rebuild the ozone layer. You can read the flight manual for the SR-71 here! Photos of this aircraft in service. Kucher, Paul R. “SR-71B #61-7956 .” SR-71 Online – SR-71B #61-7956 (17956), SR-71 Online, SR-71B #61-7956 (17956). 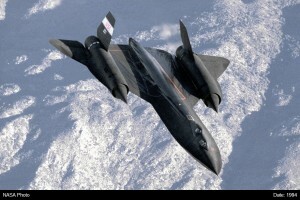 “Creating The Blackbird.” Creating The Blackbird · Lockheed Martin, Lockheed Martin Corporation, Creating the Blackbird. “History.” History | Air Zoo Aviation Museum & Science Education Center of Kalamazoo, Michigan, Air Zoo/Pure Michigan, Air Zoo History.